Did you feel my excitement while I typed that out? YES!!! Of course we can go to my favorite store of all time and buy you, my jeans and t-shirt daughter, a pair of heels! I had a blast! She had a blast! The smile glued to her face the whole time let me know that she was dying from excitement inside. Then came the dilemma. She found 2 pairs that she wanted. Both were the perfect color. Both had the same size heel. Both were on sale. Yes, I’m happy to say, that I have passed down my trait of being able to scope out a deal to my daughter. Which shoes to choose? There were too many. 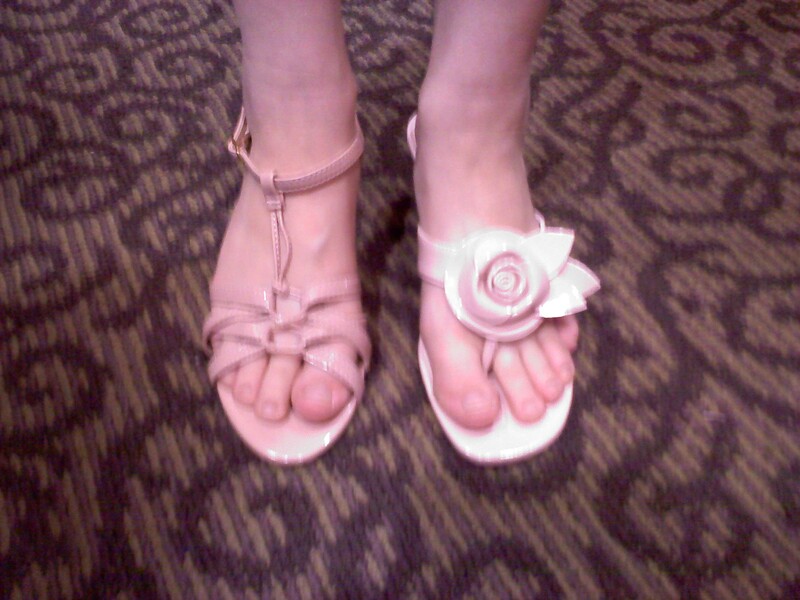 After about 10 minutes of watching her walk through the store with one on the left, the other on the right, she chose. As she walked up to the counter and handed over her box and gift card, smile still plastered to her face, I knew that this would be a moment I would always remember. Not only because of the shoes. But because we were able to connect on a level that I never imagined would happen. My baby girl, my first born, has started her transition to becoming a young lady. And THAT is what made this mommy so proud!